Different teams of reviewers attend each production, meaning that each school is evaluated independently of other school productions. After the awards ceremony, each school will receive a written analysis from the reviewers who saw the production. This feedback is meant to help the school realize its full potential based on its resources. It may be shared with the students or not at the discretion of the director. The high school must be located within 50 miles of the Arch. The musical production must be on the National High School Musical Theatre Awards (jimmyawards.com) list of approved musicals. For information concerning qualifying roles, please contact Nancy Sherwin (nsherwin@slhsmta.com). Outstanding Actor, Outstanding Actress, Outstanding Supporting Actor, Outstanding Supporting Actress: To be eligible, the student must be a registered student at the participating school. In the case of single-gender schools, performers of the opposite gender from another school also are eligible. Only faculty members or students from the participating high school are eligible for individual awards for Directing, Choreography, Musical Direction, Set Design, or Costume Design. 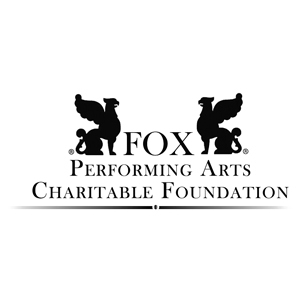 Guest artists, parents, volunteers and K-8 students do not qualify for individual category Awards. Being ineligible for one category does not disqualify a school for other categories. Reviewers for the SLHSMTA are provided with training to ensure that all reviewers are using the same criteria for their evaluations and feedback. 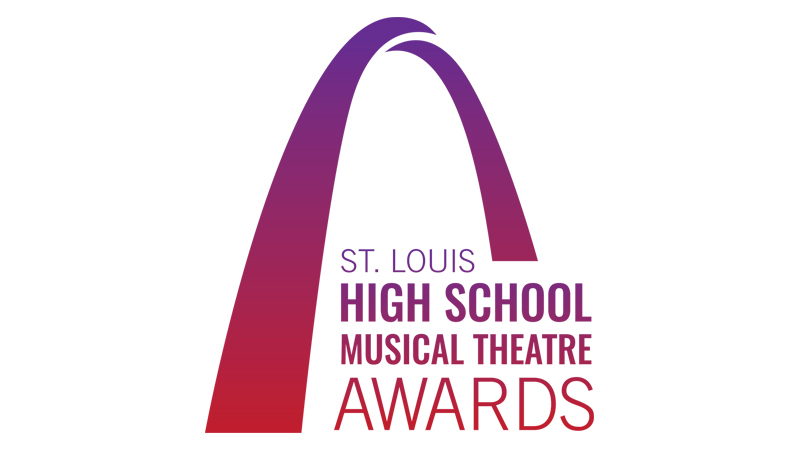 The purpose of the St. Louis High School Musical Theatre Awards is to recognize, celebrate,and encourage excellence in high school musical theatre. In addition to scoring specific categories, reviewers will be asked to provide the school with a narrative critique to help them determine how they can better utilize their available resources. Performer can be heard and understood (proper pronunciation,clear articulation). Performer conveys the character’s objectives, obstacles, and tactics. Performer stays in character and has believable interactions with other characters. Performer appropriately commands and yields focus. Performer’s pitch, phrasing, interpretation, breath control and diction indicate good vocal training. Performer’s vocal moments are delivered in character. Performer’s vocal moments are consistent with the style of the show. Performer moves with poise and ease. Performer’s execution of choreography is done in character. Performer demonstrates a strong sense of spatial awareness in the execution of blocking and choreography. Ensemble demonstrates a clear understanding of how they support the story; they are animated and in the moment. Ensemble delivers vocal moments in character and with appropriate interactions. Ensemble delivers choreographic moments in character. Ensemble has an appropriate balance of unity and individuality, effectively populating the environment. Ensemble commands and yields focus appropriately. Eligibility: The orchestra must be 75% students from the participating school. Tempi and rhythms are appropriately and effectively executed. Orchestra’s decorum is professional: appropriate attire, concert master tunes orchestra, etc. Entrances and cut-offs are clean. Orchestra is able to adjust to the demands of a live performance. Stage crew performs transitions with speed and accuracy. Stage crew is appropriately dressed to minimize their visibility. Cues are called and implemented appropriately. Sound is balanced and without distortion. Costume changes (QCs particularly) are done in a timely manner. Choreography effectively propels the story and/or helps delineate character. Choreography makes good use of levels, formations, traffic patterns, and available space. Choreographic moments build within each number. Choreography is designed to suit the diverse abilities of the performers. Choreography is inventive and varied. Eligibility: Faculty member or a member of the student body and students must contribute at least 50% of the design implementation. Costumes help establish location, time frame, and mood of the production. Costumes allow performers full range of motion. Costume design color palette is compatible with other design elements. Costume quality is consistent throughout the cast. Costumes are well-fitted and well-maintained. Scenic design helps establish location, time frame, and mood of the production. Scenic design allows for easy and effective blocking and choreography. Scenery is appropriately sized for the venue and makes good use of the available space. Scenic design is compatible with other design elements. Practical elements work easily and effectively. Soloists and ensemble sing with emotional understanding and consistent characterization. Vocal moments indicate clear direction and instruction in diction, pitch, rhythm, breath control, and dynamics. Transitions between dialogue and music are seamless. Entrances and cut-offs are dear and consistent. An effective balance between orchestra and performers is maintained. All design elements are cohesive and harmonious. Blocking creates visually-pleasing stage pictures that contribute to the understanding of the story line. The arc of the story and specific plot points are well-paced and clearly delineated . Transitions are smoothly executed, with little to no disruption of the story-telling. Production elements and performances reflect a creative vision. The choice of material is appropriate for high school students. The mood, style, time period, and location are clearly and cohesively established. Technical and design elements are harmonious and support the story-telling. Characterizations are strong, believable, and effectively integrated in dialogue, song, and dance. Performers are confident in their roles and are able to maintain characterizations under all circumstances. Casting reflects appropriate use of diverse talents. The cast is fully invested in the performance. Support aspects (ushers, lobby display, program) are handled professionally. Pre- and post-performance behavior of cast and crew is discreet and professional. Each high school production will be adjudicated by a panel of three reviewers. We are seeking reviewers with diverse areas of expertise: dance, music, acting, and technical theatre. Reviewers complete a non-partiality survey and geographic preference survey. This information is used to determine which reviewers see which shows. There are two mandatory meetings for all reviewers. At the first meeting, reviewers will receive instruction in the criteria to be used in the process of reviewing. At the second meeting, the nominations for the SLHSMTA will be generated. If you are interested in becoming a reviewer for the SLHSMTA, please contact Nancy Sherwin (nsherwin@slhsmta.com).